Becky has extensive ministry experience working with children. She has also co-lead a ministry team to Guatemala where she worked with churches to train nationals in the creative arts elements of Children’s Ministry. She has extensive experience in preaching and teaching where she brings a creative visual element. She is an advocate for the generations of the church to ensure that the family of God is working together to make disciples of the next generation. Their love for people and their compassion for reaching all generations to share the love of Christ led Tom and Becky to Casa De Gozo and more specifically to the children’s ministry. With their combined skills and experience, they have successfully helped to develop and build Children’s Ministries from the ground up with dynamic Sunday services, mid-week programs, and summer outreaches including a sports camp while also creating youth ministry teams that have performed in outreaches, big events, and camps. Becky has both been part of an evangelism team to El Salvador and co-lead a ministry team to Guatemala where she worked with churches to train nationals in the creative arts elements of Children’s Ministry. She has extensive experience in preaching and teaching where she brings a creative visual element. However, it is Tom who brings those wacked out creative ideas on paper to life. Becky also has a broad range of experience in puppetry, ballooning, clowning, dramatic arts, choreography, skit writing, and directing ministry teams. She has headed up and been involved in camps, inter-city bus ministries, teaching, outreaches, and big events. 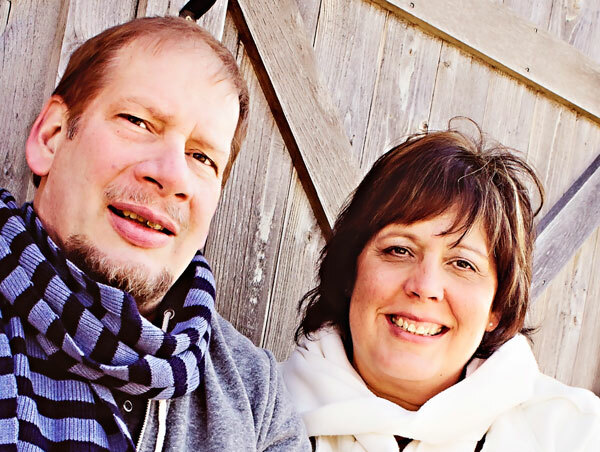 Tom and Becky both have a heart to both reach people with the gospel of Jesus Christ and a desire to disciple and train the young generation to become the ministers of today. While in their free time, Tom and Becky can be found enjoying life with their eight children and their three grandchildren.